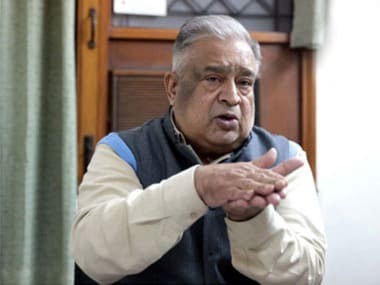 New Delhi: Former Cabinet secretary TSR Subramanian has passed away, officials said on Monday. He was 79 years old. “Extremely shocked to hear the sad news of the demise of TSR Subramanian. He was the tallest amongst all and is a big loss for the IAS fraternity and the nation. Deepest condolences to all family members. We hope and pray that your ideas and thoughts will continue to guide us,” the IAS association said in a tweet. Extremely shocked to hear the sad news of the demise of T S R Subramanian. He was the tallest amongst all and is a big loss for the IAS fraternity and the nation. Deepest Condolences to all family members. We hope and pray that your ideas and thoughts will continue to guide us. His cremation will take place at the Lodhi Road crematorium in New Delhi at 5.30 pm, the association said. Subramanian was the Cabinet secretary from 1 August, 1996, to 31 March, 1998. The cause of death and other details were immediately not known. Defence Minister Nirmala Sitharaman, Minister of State (MoS) for Personnel Jitendra Singh and other senior IAS officers also condoled his death. “Former Cabinet secretary TSR Subramanian is no more. Saddened by the news. He was affable, full of ideas and energetic. In many a debate on TV channels, shared thoughts with him. Condolences to his family and his fraternity,” Sitharaman said. The MoS Jitendra Singh said, "Saddened by news of the demise of former Cabinet secretary TSR Subramanian. My condolences to the entire IAS fraternity and his family." Secretary, Department of School Education and Literacy, Anil Swarup, said: “Bichde sab bari bari (all left one by one)." “One of the most outstanding officer TSR Subramanian is no more. Rest in Peace. RIP,” he said on Twitter.